Reflecting on the anniversary of Frosted's record-breaking Met Mile win and 123 Beyer! Frosted had accomplished much before his record-breaking performance in the 2016 G1 Met Mile: a win in the G1 Wood Memorial at three along with additional victories in the G2 Pennsylvania Derby and G2 Al Maktoum Challenge R2; and placings in the G1 Travers and G1 Belmont as well. But it was definitely the G1 Met Mile that distinguished him as one of the top racehorses of his generation. In addition, if you look at all the Met Miles run during the period of published Beyer Speed Figures (from 1992 on), Frosted’s 123 has never been bettered, with recently-deceased Darley stallion Holy Bull and Ghostzapper each recording a 122. And interestingly, the top four Beyers listed above were all recorded in the Met Mile. Moreover, you have to go all the way back to 2007 to find a horse with a better Beyer Figure. His 123 Beyer matches the career tops of Candy Ride, Saint Liam, and Silver Charm and has been exceeded by only nine horses in the past 24 years: Ghostzapper (128); Formal Gold, Gentlemen, and Will’s Way (126); Bertrando and Skip Away (125); and Artax and Midnight Lute (124) (Daily Racing Form statistics). One could say that Frosted's victory in the Met Mile was icing on the cake. While another could argue that it was his next-out win in the historic G1 Whitney. 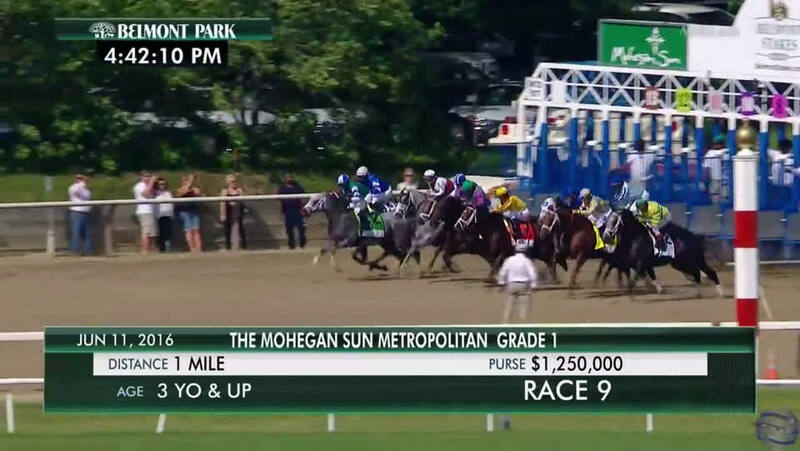 But no matter how you look at it, his Met Mile win was certainly one for the ages. And if it looked like he won as easy as 1-2-3 that day, you might not get much push back. But to earn a 123 Beyer, you have to be some kind of special.